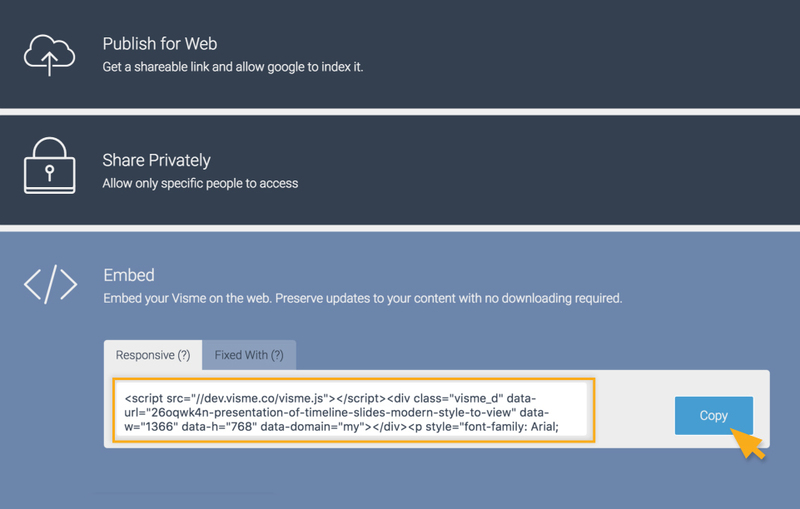 A Visme can be easily embedded to any website or blog. The process is very similar to how one embeds other third party objects such as from Youtube. From Share window, click on the Embed tab. Copy the HTML code (also called “embed code”) and then paste to your website or blog. You need to insert this into the HTML code of your website. Nearly all site builders, and CMS (Content management systems) have the ability to insert HTML code snippets to web pages. If you are not sure how to insert this, refer to your website’s documentation or contact your webmaster/web designer for assistance. Here’s an example of how embed code is added to WordPress. WordPress is the most popular open source blogging/website platform. Locate the page you want to add the html code to. Click on the Text tab shown. You then paste the embed code that you copy from Visme. What is the difference between Responsive and Fixed Width? 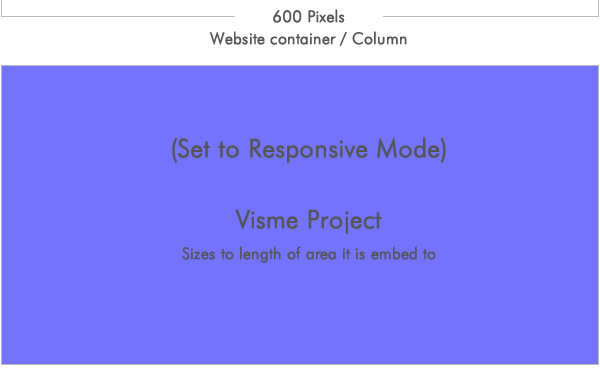 Responsive is where your Visme project automatically be adjust to the width of the the container it is inserted in. If you set your project to Responsive (which is the default setting) and your website’s container (or column) is 600 pixels, your project will appear like how it is shown below. A Fixed Width on the other hand will be exactly the width of your Visme project. 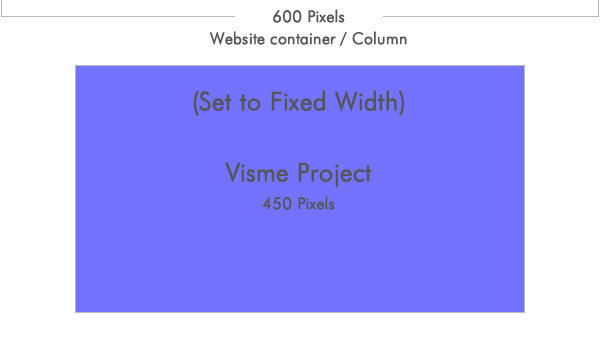 Let’s say your Visme Project is 450 pixels and your website’s container (or column) is 600 pixels, your project will appear like how it shown below. Some platforms or hosts do not support embeds of third party codes or pose limitations. For example WordPress websites hosted on WordPress.com pose such restrictions.